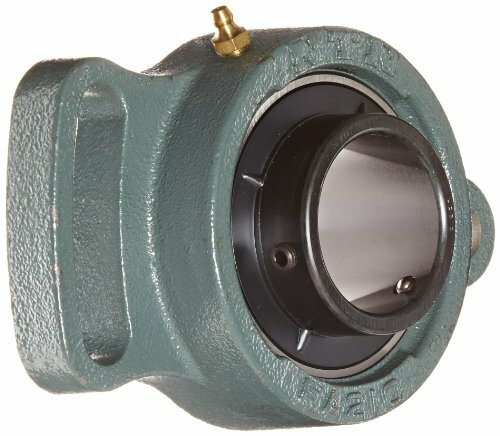 UCF bearing mounted on a 4 bolt adjustable flange unit. Flanged Sleeve Bearing, Inside Dia. (In.) 1/4, Outside Dia. (In.) 3/8, Length (In.) 3/8, Flange Dia. (In.) 1/2, Flange Thickness (In.) 1/16, 50,000 Max. Pv, Temp. Range (F) 10 to 220, SAE 30 Oil Lubrication, Powdered Metal Bronze (SAE 841), Package Quantity 3FeaturesOutside Dia. : 3/8"Material: Powdered Metal Bronze (SAE 841)Flange Thickness (In. ): 1/16Flange Dia. (In. ): 1/2Max. Pv: 50,000Lubrication: SAE 30 OilTemp. Range (F): 10 to 220Length: 3/8"Item: Flanged Sleeve BearingInside Dia. 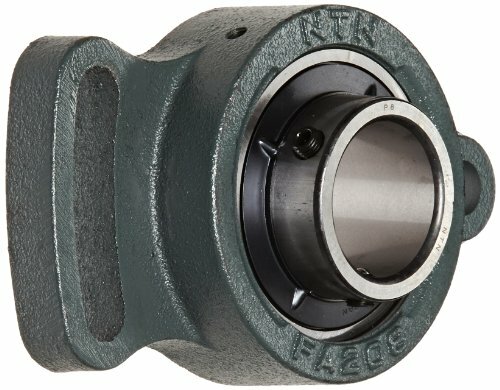 : 1/4"
Flanged Sleeve Bearing, Inside Dia. (In.) 1/4, Outside Dia. (In.) 3/8, Length (In.) 1/2, Flange Dia. (In.) 1/2, Flange Thickness (In.) 1/16, 50,000 Max. Pv, Temp. Range (F) 10 to 220, SAE 30 Oil Lubrication, Powdered Metal Bronze (SAE 841), Package Quantity 3FeaturesOutside Dia. : 3/8"Material: Powdered Metal Bronze (SAE 841)Flange Thickness (In. ): 1/16Flange Dia. (In. ): 1/2Max. Pv: 50,000Lubrication: SAE 30 OilTemp. Range (F): 10 to 220Length: 1/2"Item: Flanged Sleeve BearingInside Dia. 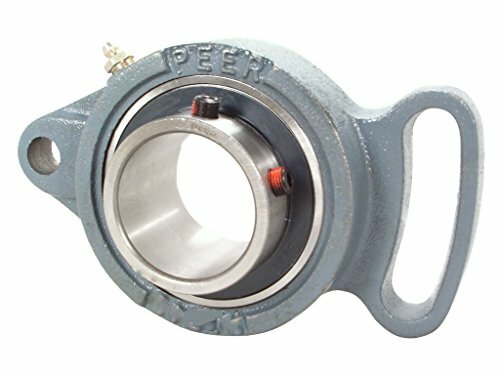 : 1/4"
A sleeve bearing facilitates linear movement between two parts and can be made of bronze or even plastic. 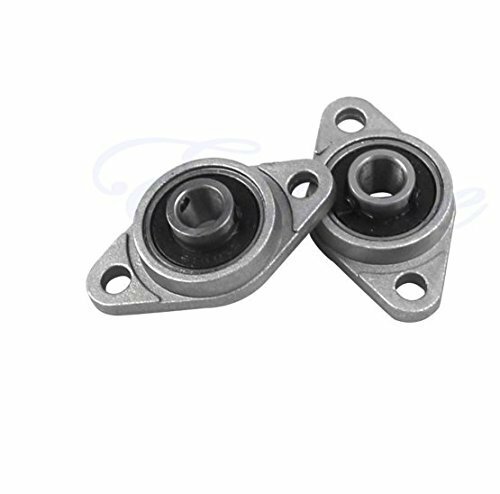 Bunting Bearings Flanged Sleeve Bearing include characteristics like: Length: 1/4", Material: Powdered Metal Bronze (SAE 841).FeaturesOutside Dia. : 5/16"Material: Powdered Metal Bronze (SAE 841)Flange Thickness (In. ): 1/16Flange Dia. (In. ): 7/16Max. Pv: 50,000Lubrication: SAE 30 OilLength: 1/4"Temp. Range (F): 10 to 220Item: Flanged Sleeve BearingInside Dia. : 3/16"
A sleeve bearing facilitates linear movement between two parts and can be made of bronze or even plastic. Take a look at the features for Bunting Bearings Flanged Sleeve Bearing. Length: 1/2", Material: Powdered Metal Bronze (SAE 841).FeaturesOutside Dia. : 7/16"Material: Powdered Metal Bronze (SAE 841)Flange Thickness (In. ): 1/16Flange Dia. (In. ): 9/16Max. Pv: 50,000Lubrication: SAE 30 OilTemp. Range (F): 10 to 220Length: 1/2"Item: Flanged Sleeve BearingInside Dia. 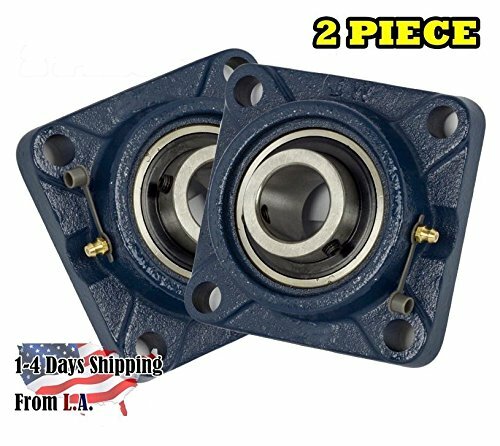 : 5/16"
Flanged Sleeve Bearing, Inside Dia. (In.) 3/8, Outside Dia. (In.) 1/2, Length (In.) 3/8, Flange Dia. (In.) 11/16, Flange Thickness (In.) 1/16, 50,000 Max. Pv, Temp. Range (F) 10 to 220, SAE 30 Oil Lubrication, Powdered Metal Bronze (SAE 841), Package Quantity 3FeaturesOutside Dia. : 1/2"Material: Powdered Metal Bronze (SAE 841)Flange Thickness (In. ): 1/16Flange Dia. (In. ): 11/16Max. Pv: 50,000Lubrication: SAE 30 OilTemp. Range (F): 10 to 220Length: 3/8"Item: Flanged Sleeve BearingInside Dia. 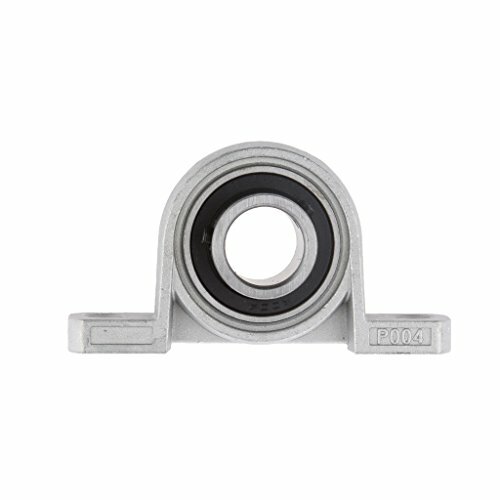 : 3/8"
Like sleeve bearings, a plain bearing uses a sliding, rather than a rolling motion, to carry heavy loads. 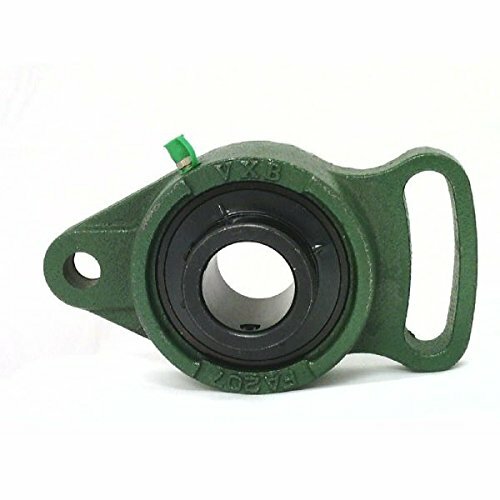 Take a look at the features for Bunting Bearings Flanged Sleeve Bearing. Length: 3/8", Material: Powdered Metal Bronze (SAE 841).FeaturesOutside Dia. : 5/8"Material: Powdered Metal Bronze (SAE 841)Flange Thickness (In. ): 1/8Flange Dia. (In. ): 7/8Max. Pv: 50,000Lubrication: SAE 30 OilTemp. Range (F): 10 to 220Length: 3/8"Item: Flanged Sleeve BearingInside Dia. 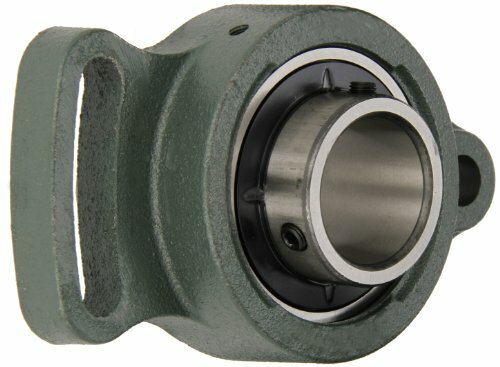 : 1/2"
Flanged Sleeve Bearing, Inside Dia. (In.) 5/16, Outside Dia. (In.) 1/2, Length (In.) 3/8, Flange Dia. (In.) 11/16, Flange Thickness (In.) 1/16, 50,000 Max. Pv, Temp. Range (F) 10 to 220, SAE 30 Oil Lubrication, Powdered Metal Bronze (SAE 841), Package Quantity 3FeaturesOutside Dia. : 1/2"Material: Powdered Metal Bronze (SAE 841)Flange Thickness (In. ): 1/16Flange Dia. (In. ): 11/16Max. Pv: 50,000Lubrication: SAE 30 OilTemp. Range (F): 10 to 220Length: 3/8"Item: Flanged Sleeve BearingInside Dia. : 5/16"